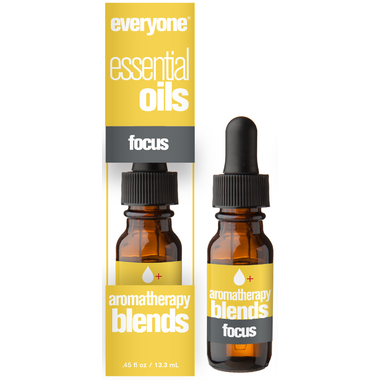 Everyone Essential Oils Aromatherapy Blends Focus is a mindful blend to help you pay attention to the moment at hand. Everyone loves to focus on the moment at hand. This synergistic essential oil blend of Rosemary, Peppermint, Orange and Lemon will bring you into the here and now naturally.